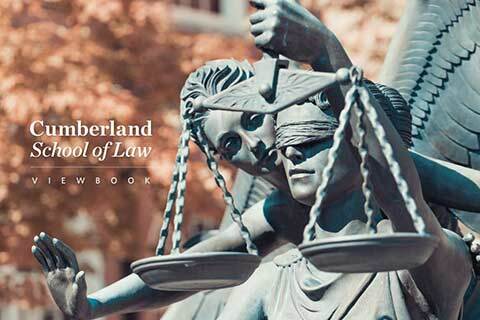 We offer two distinct types of fellowships at Cumberland School of Law. There are two distinct types of fellowships at Cumberland School of Law. The Jere F. White Jr. Fellowship is the law school’s premier entering first-year student fellowship. A panel selects the fellow based upon merit and community service. The fellowship promotes the development of lawyers who share the ideals that were so important to the late Jere F. White Jr. The Rodney A. Max Fellowship recognizes one or more third-year students in the area of mediation and provides the student(s) a stipend to work for the academic year with the Mediation Center director. The Summer Public Interest Fellowship program provides stipends to rising second- and third-year students who work during the summer in an approved legal job that is nonpaying. The fellowship can be in any geographic location, and it promotes the need for valuable legal work experience. 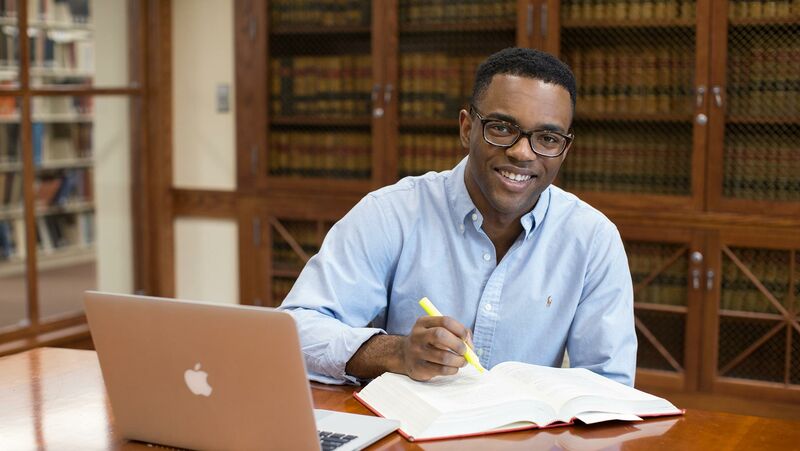 Each year, one first-year law student is awarded the Jere F. White Jr. Fellowship. Established by the late Jere F. White Jr., a 1980 graduate, this fellowship seeks to identify outstanding students with strong credentials, a history of leadership, and commitment to service that has been demonstrated during and/or after graduation from college. Preference is given to applicants who have served in the military, Peace Corps, Teach for America or other programs benefiting under-served communities. The fellowship is the only entering scholarship that requires an additional application. Deadline to apply is Friday, January 11, 2019. In Memoriam of Jere F. White Jr.
Jere F. White Jr. was a great enthusiast of Samford University’s Cumberland School of Law and an inspiration to everyone who met him. A member of the Cumberland School of Law Class of 1980 and a founding member of the law firm of Lightfoot Franklin & White LLC, White passed away Oct. 3, 2011, after a long and courageous battle with cancer. He persistently maintained his positive attitude and unshakeable faith to the very end. For over 30 years, White handled significant civil cases of all types in state and federal courts in Alabama and throughout the United States. He tried more than 100 jury trials to verdict and was lead counsel in approximately two-thirds of those. Most of his cases were devoted to representing major corporations in products liability, class actions, business torts and multi-plaintiff mass tort matters. 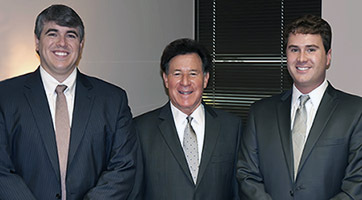 In addition, White developed a significant practice representing business plaintiffs in commercial disputes. He also had a significant appellate practice—very few lawyers in the South had the breadth of his experience. White was one of the few lawyers in Alabama inducted in the American College of Trial Lawyers, International Academy of Trial Lawyers and the American Board of Trial Advocates. He was also a fellow in the Alabama Law Foundation. Born and raised the son of a trial lawyer and judge in a small town in north Georgia, White married his childhood sweetheart and had three adult children. He was an elder of Independent Presbyterian Church, a former trustee of the board of Hampden-Sydney College, a member of the advisory board of Cumberland School of Law and a former board member of the Birmingham YMCA. White was a graduate of the University of Georgia. The Rodney A. Max Fellowship recognizes the interest, achievements and scholarship of one or two third-year law students in the area of mediation. The fellowship was established by Rodney A. Max, a nationally renowned mediator and a 1975 graduate. Work for the director of the Community Mediation Center (CCMC), with primary responsibilities being to manage the Samford Residence Life Mediation Program, co-mediate disputes as assigned by the director of the CCMC, and research and write projects as assigned. In 1972, after serving in the U.S. Army, Rodney A. Max enrolled at Cumberland School of Law. While in law school, he served as an associate editor on the Cumberland Law Review and as a justice on the Appellate Moot Court Board. He graduated in the class of 1975. Max served for five years as an adjunct professor at Cumberland School of Law. He created the school’s first mediation course curriculum. In 2005, Max established the Rodney A. Max Mediation Fellowship at Cumberland School of Law. Each year, the scholarship is awarded to at least one law student to recognize his or her achievement in the area of mediation. Max is a principal with the law firm Upchurch Watson White & Max with offices in Alabama and Florida. He had a successful commercial litigation practice in Birmingham, Alabama, until 1992, when he became Alabama’s first full-time mediator. Max quickly expanded his mediation practice throughout the Southeast, and he has mediated more than 14,000 cases in 33 states; Washington, D.C.; and Puerto Rico. Since 2002, Max has resided in south Florida and continues to travel throughout the country mediating catastrophic injuries and damages, as well as numerous mass and class actions. Throughout his career, Max has been active civically and a leader in human rights and Jewish causes, serving as chairman of the Alabama State Civil Rights Committee of the U.S. Commission on Civil Rights. The Public Interest Fellowship Program, a component of the Public Interest Program, provides stipends to rising second- and third-year students who volunteer their summer working for a public interest, government (local, state or federal) or a non-profit entity. A student can go anywhere in the country as long as the job requires legal skills. The program has continued to grow in popularity over the years from 11 students its first year (2005) to 89 students (summer 2015) who were awarded $136,200. “The program allows students to experience the importance of public service that they might not have otherwise. In previous years, many fellowship opportunities have been springboards to full-time jobs for the students,” said Cassandra Adams, director of the Mediation Center. The fellowships are made possible through the generosity of Cumberland School of Law alumni, the Henry G. Sims and Henry Upson Sims Foundation, Beasley Allen law firm, and Miles McGrane ’75. Students work six to 12 weeks at their assigned job. In past years, these jobs have been with judges, state and federal prosecutors, state and federal public defenders, environmental and public policy groups, and volunteer lawyer programs. Students have worked in several states, including Alabama, Colorado, the District of Columbia, Florida, Georgia, Kentucky, Louisiana, South Carolina and Tennessee. Application deadline is early April. Cassandra Adams, director of of the Mediation Center, oversees the application process. Once your volunteer placement is confirmed, the employer must send a verification letter, stating the start date and the number of volunteer weeks. Failure to submit a verification letter by the deadline will result in loss of the fellowship award. *This award is a grant and should not be construed as wages for any work performed. Failure to comply with the requirements of this application and/or any other requirements of Samford University regarding the disbursement of funds will result in the termination of the award. You may apply for this fellowship using the Public Interest Fellowship form located on the forms page.